This bottle contains 200-250 drops of 1000mg / 10% CBD oil in an organic cold pressed hempseed oil. 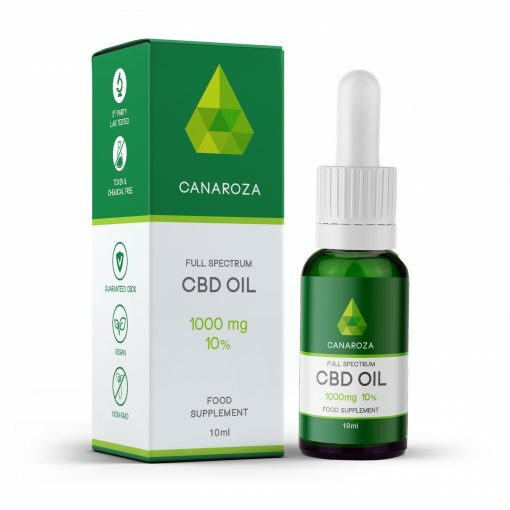 Each drop contains 4-5mg CBD. To achieve maximum efficiency we recommend to take it sublingual, which means placing it under the tongue for about 60 seconds before swallowing. All our products are Non-GMO, pesticide- and chemical free. To preserve the active compounds keep it and away from sunlight and heat. We use full spectrum extract which contains over 80 different cannabinoids, including CBD, CBC, CBG, CBN and many others. In addition to the cannabinoids, it also contains natural molecules such as amino acids, carbohydrates, vitamins, omega fatty acids, and trace minerals. As a carrier oil we use organic cold pressed hemp seed oil from hemp organically grown in Italy. 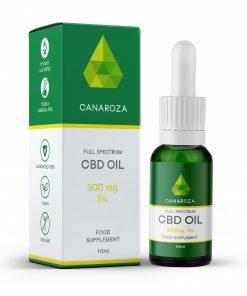 This hemp seed oil originates from an EU approved industrial hemp variety of the Cannabis Sativa family. It is natural, non-GMO and totally free of herbicides, pesticides and fertilisers. Hemp seed oil is considered to be the most nutritional oils available. It is high in omega 3 and 6 fatty acids, proteins and contains a lot of antioxidants. It is cold pressed at low temperatures, then filtered to remove any natural suspended solids.